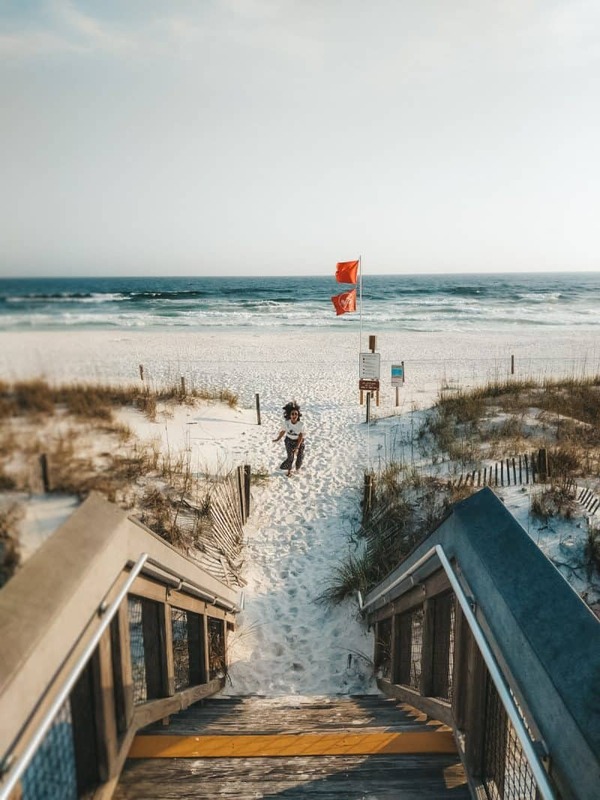 The Emerald Coast is the thin slice of paradise you’ll find stretching along the Florida Panhandle between Pensacola and Panama City, on the Gulf of Mexico in northwest Florida. It’s one of the Sunshine State’s best kept secrets, a world away from Miami’s blazing nightlife or Orlando’s hectic theme parks. Here you’ll find quiet stretches of powder white beaches; hidden state parks home to a number of ecosystems; and turquoise waters full of dolphins and the region’s famous seafood. 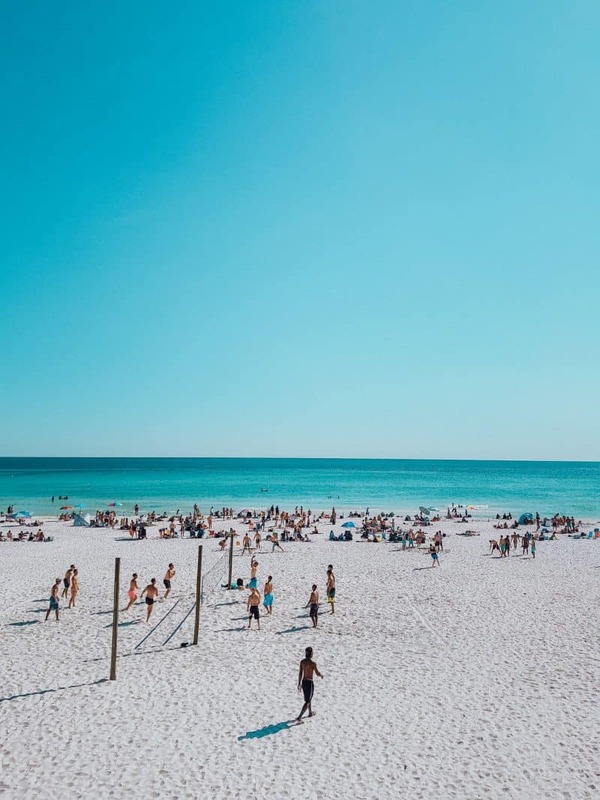 It’s an area that has always been popular with spring breakers and local tourists, but when it comes to the rest of the world, I don’t think the Emerald Coast is on our radar. And that’s something that needs to change. 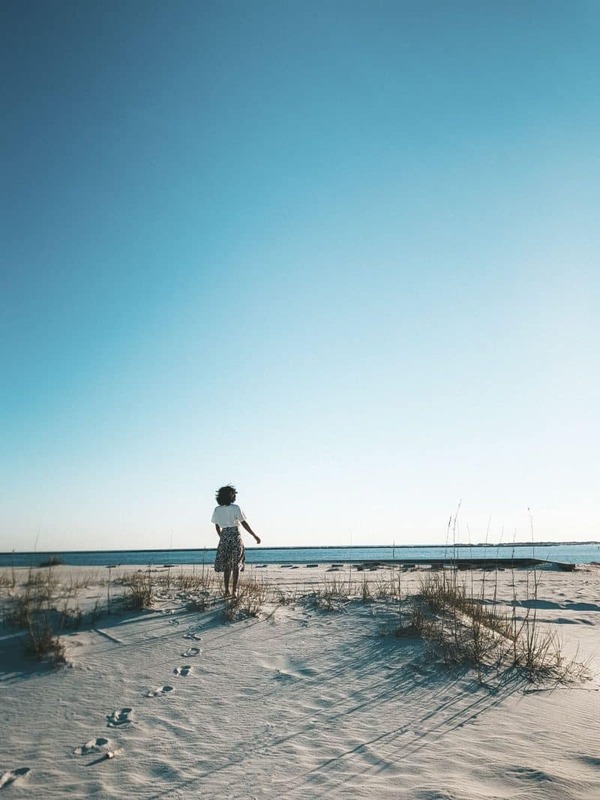 If you like the sound of spacious beaches, plenty of nature, tin-roofed picnic shelters and boardwalks stretching across sweeping sand dunes, the Emerald Coast should be at the very top your ‘best in Florida’ list. And very high up on your USA list. And that’s before we even get on to the year round gorgeous climate, southern charm and fantastic Gulf-to-table eating. 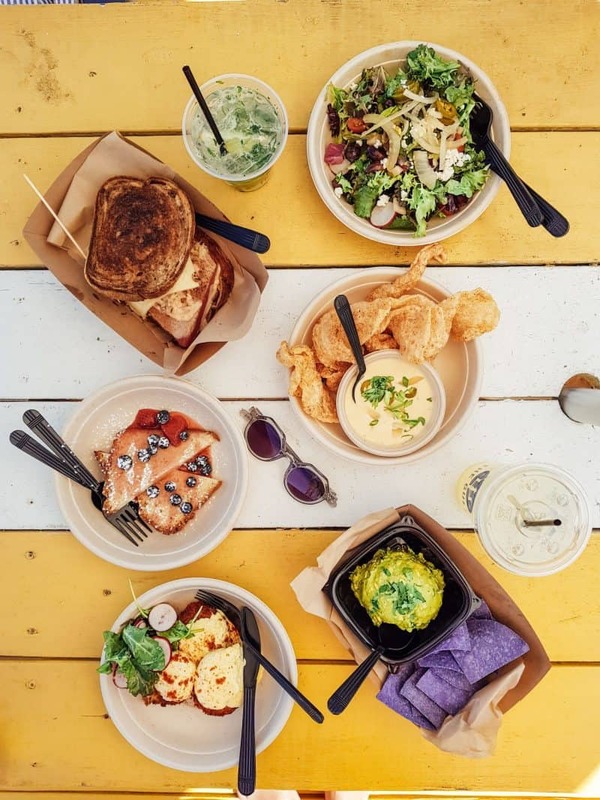 I spent a few days exploring and scouting the best of the Fort Walton Beach, Okaloosa Island and Destin restaurants. I’ve come up with my list of top 10 restaurants on Florida’s Emerald Coast, some of the best in Florida. But first, check out my YouTube video above covering all 10 restaurants that made the list. 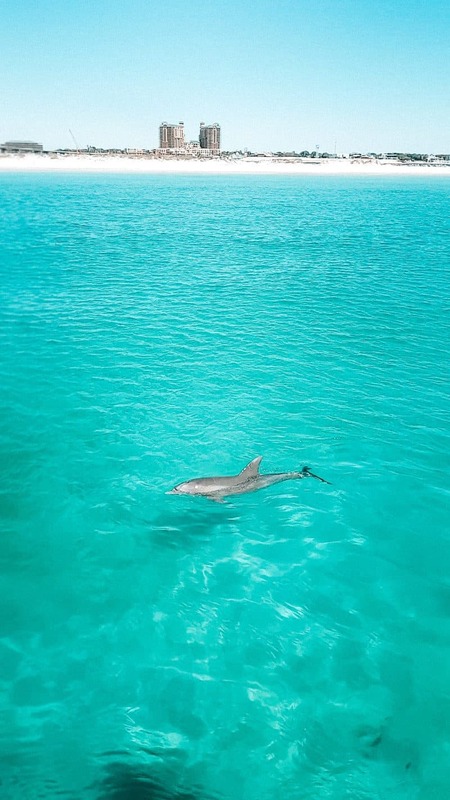 In it I also show you other great activities you can do including dolphin cruises, state parks and the best beaches on the Emerald Coast. Have a watch to get a feel for the places we visited. Then you can read on below for more information about each restaurant stop and what we ate. 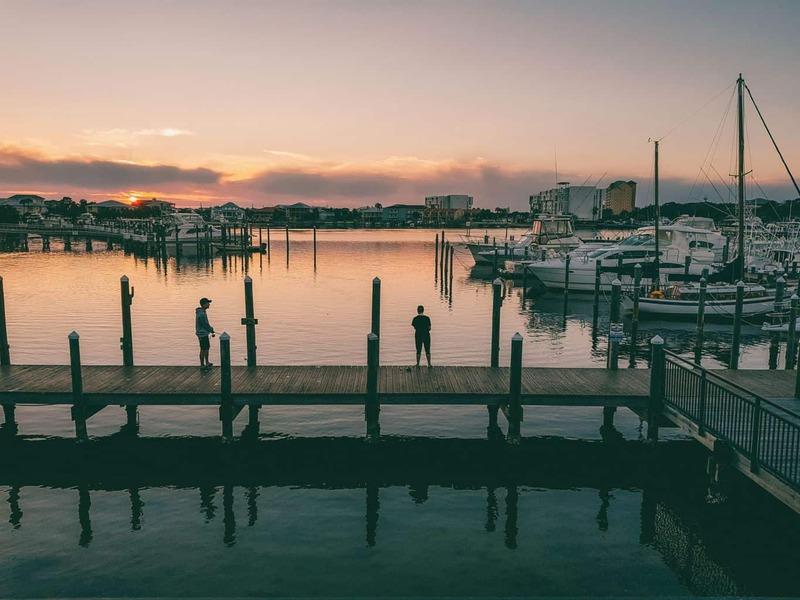 Destin is a city that also goes by the name of the “world’s the luckiest fishing village”. It’s a hot spot for all things fishing related: jetty fishing, deep sea fishing, charter fishing and of course, eating the tasty catches. There are a lot of great places to sample all this seafood and AJ’s is a terrific example of one. This is the place to order some cocktails along with your crab claws, pitch up at an outdoor table and tuck into your spread to the backdrop of a live band. Don’t miss the fried pickles, peel-and-eat boiled shrimp or the smoked tuna dip. And the sweet and tender Snow Crab legs served with melted butter, new potatoes and corn. Patience is a virtue in the crab-cracking game – persevere with the effort it takes to get the meat out, it’s worth it. And say yes to the bib! Skip straight to the epic seafood spread from AJ’s in Fort Walton Beach in the video here. Those oysters went down very easily. 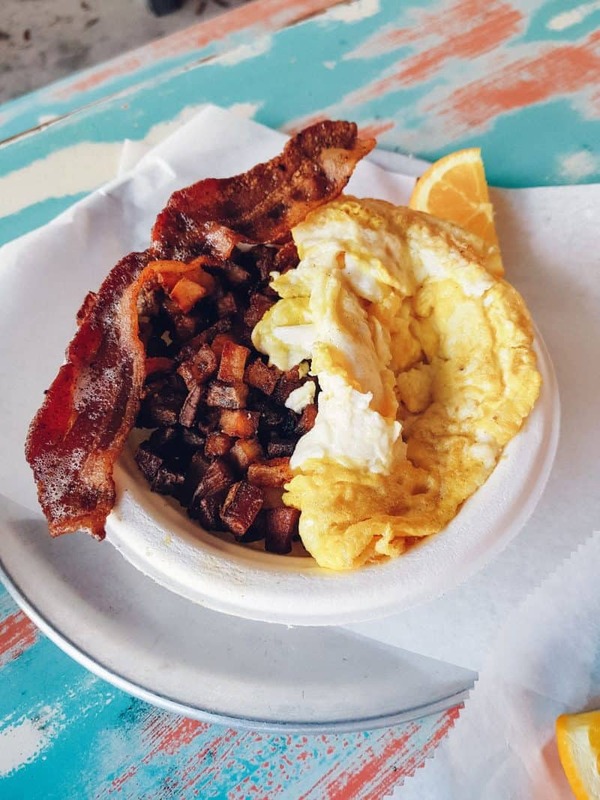 Florida and hearty southern breakfasts go hand in hand and the two Asiago Skillet branches are great places to kick-start your day. Locally owned and operated, these guys clearly love what they do and have a lot of loyal customers to prove it. The menu showcases an array of skillet (like a hefty frying pan) prepared dishes that read like a dream. We went for the Steak Skillet with potatoes, sirloin, peppers, onions, mushrooms, asiago cheese and two eggs. 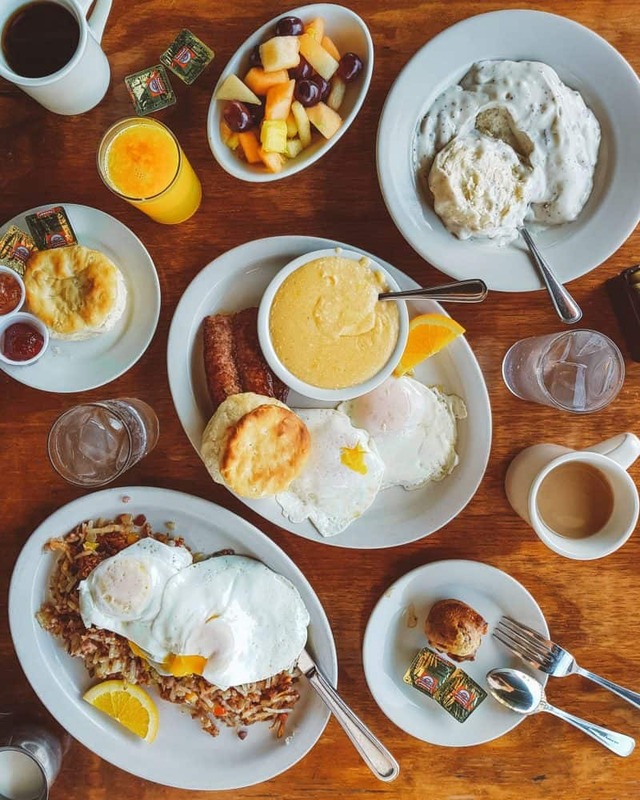 Expect fluffy frisbee-sized buttermilk pancakes, filling omelettes, American staples and plenty of classic southern breakfast options too, including biscuits with gravy, ham, sausage, bacon and eggs. The service is really lovely with a welcoming atmosphere. And they even have a self serve Bloody Mary bar too. Skip straight to me talking you through what’s on the table at Asiago Skillet in Destin in the video here. The size of those biscuits! 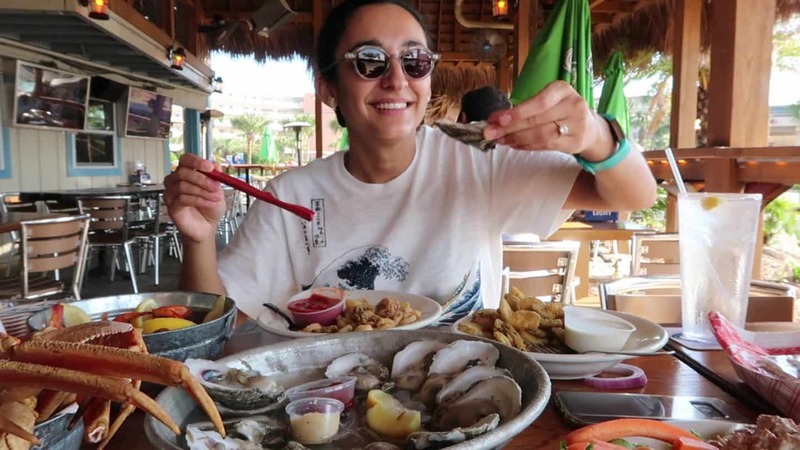 Another way to sample the local seafood on the Emerald Coast is through the medium of sushi and one of the best Destin restaurants for this is Jackacuda’s. Right in the heart of Harborwalk Village, it’s their colourful and vibrant speciality sushi rolls you want to make a beeline for. The Backdown is their signature, with shrimp tempura, spicy lobster, jalapeno cream cheese, avocado, baked spicy crab and eel sauce, and it’s a beauty. Other seafood featured on their sushi menu include salmon, tuna, snow crab, yellowtail and albacore. They’ve also got a healthy helping of seafood mains including blackened snapper, mahi mahi and the very southern shrimp and grits. Take a table outside in the sun or shade overlooking the boardwalk and enjoy your meal with a locally brewed ale. 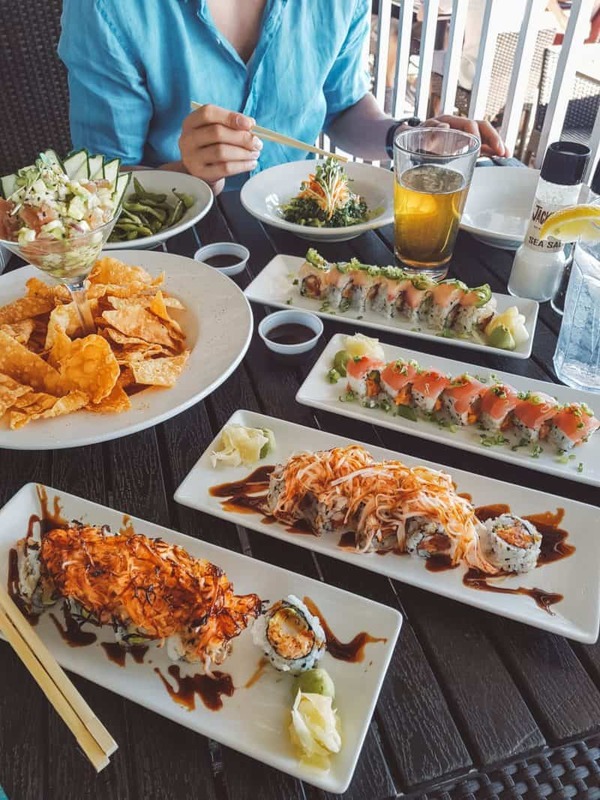 Skip straight to the gorgeous Gulf sushi at Jackacuda’s in Destin in the video here, spot the fresh catch! I bet this place is absolutely bumping during spring break! 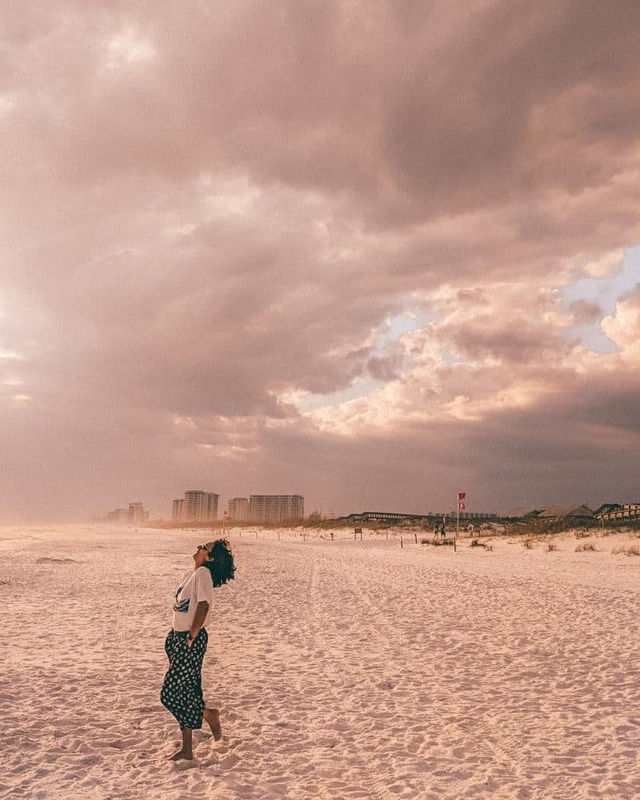 Situated right on the waterfront of Okaloosa Island, the view over the powder white beach is worth a visit in itself. 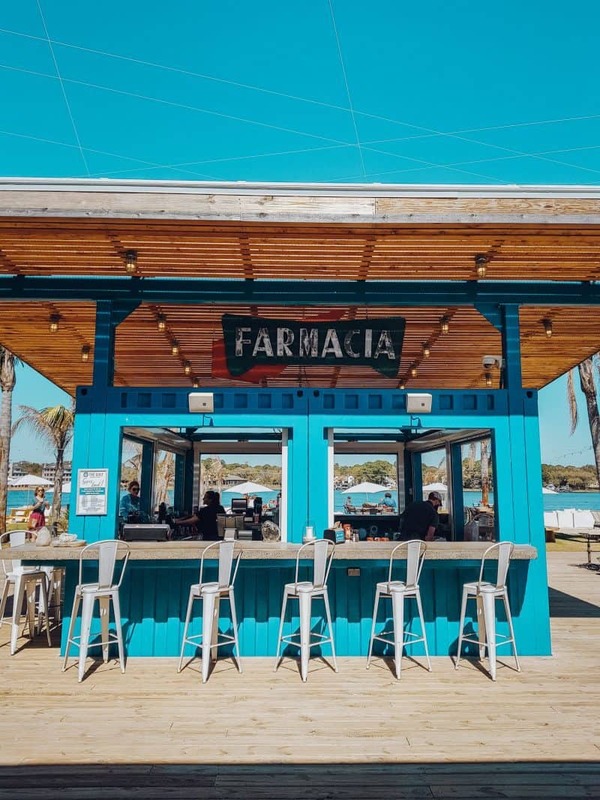 This is the place to come for Mexican-inspired flavours and tequila cocktails whilst sitting out on the deck in the sunshine. 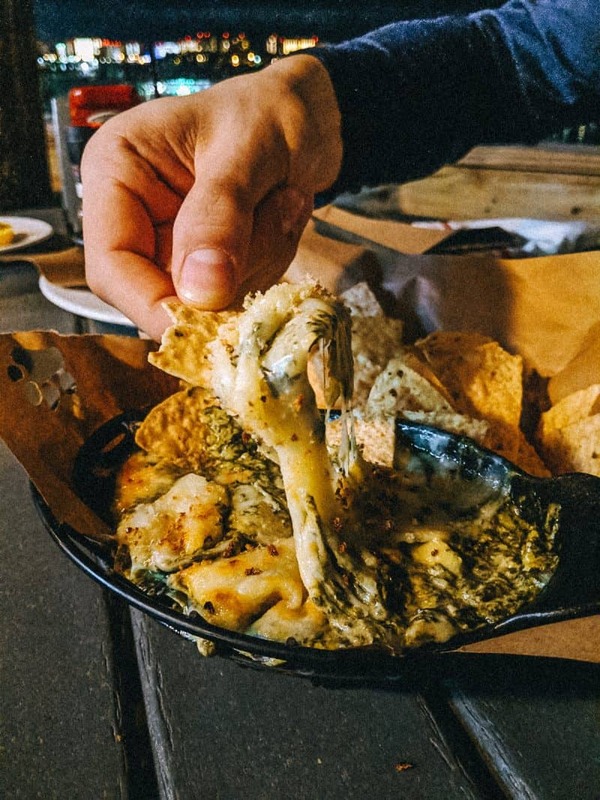 From burritos and fajitas to burgers and quesadillas, the flavours at this Fort Walton Beach restaurant are fresh and tasty. To start, don’t miss their avocado fries with chipotle aioli and a coriander dip. Then head to their specialities section for the best of the seafood offerings. Think tacos with blackened or grilled fish with spicy pineapple and mango habanero salsa. Shrimp tacos with a sweet and spicy sauce, roasted red peppers and green onions. And Baja fish tacos with beer battered white fish, pico de gallo and guacamole. In the evening the place keeps on rocking with a late night taco menu and a house DJ. A great place to take you from daytime to evening. 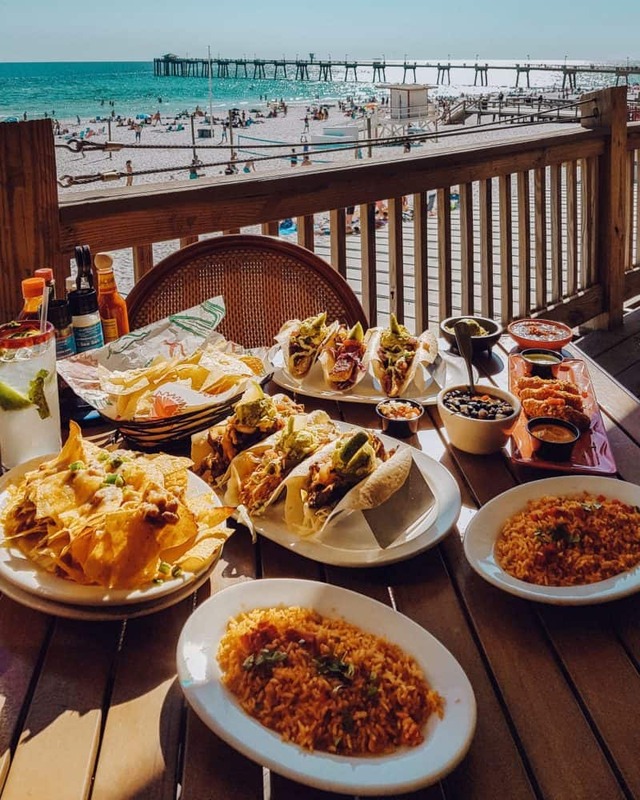 Skip straight to the stunning Fort Walton Beach side setting that is Rockin Tacos here and marvel at just how many tacos we ordered.. This vast two-story and mostly al fresco waterfront drinking and dining spot is a bit of a showstopper when you first walk in. Made from recycled and salvaged shipping containers, the space has an expansive and flexible floor plan. There’s plenty of outdoor furniture dotted across the grass and sand to prevent you from ever wanting to leave. And the dock even allows people to arrive by boat. 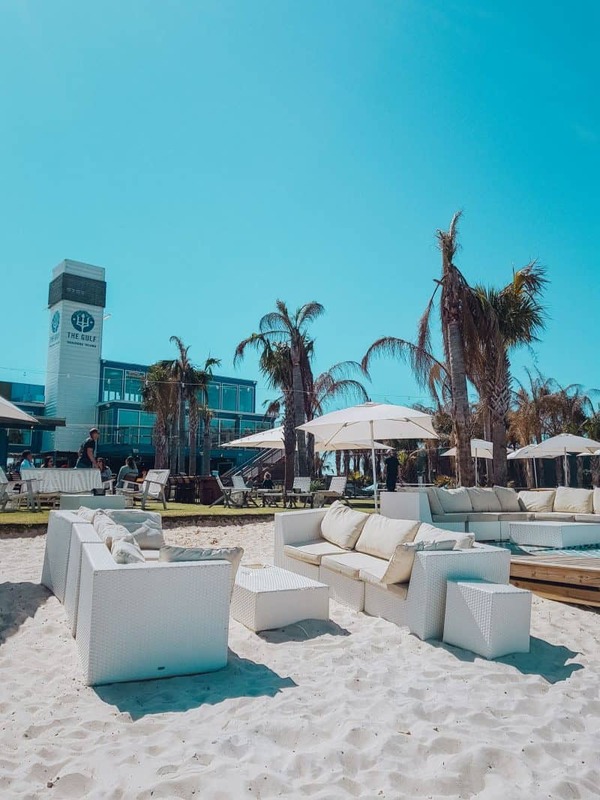 Along with ping pong on the lawn, two bars and an eclectic gift shop, their seasonal menu boasts locally sourced ingredients. Don’t be surprised to spot indecisive groups loitering by the full sized menu; everything reads so well it’s hard to make a decision. The crab cake eggs benedict was totally terrific and the blackened tuna reuben with Swiss cheese, sauerkraut with Russian dressing on rye bread was great too. 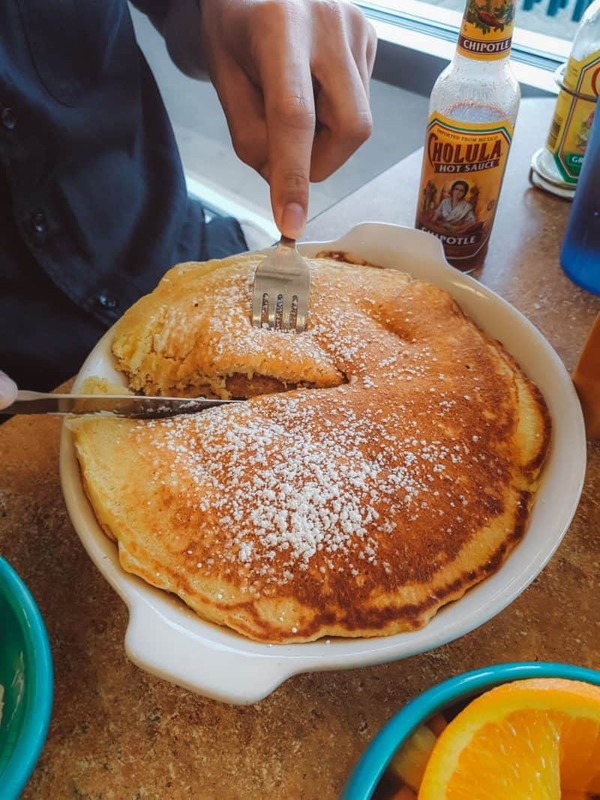 Get there early to snag a prime spot if you’re visiting for their weekend brunch; this Okaloosa Island restaurant gets completely full by lunch time. Skip straight to the sun drenched brunch spot The Gulf in the video here! That eggs benny was as good as it looked. Hi y’all, my name’s Leyla and I’m addicted to southern breakfasts. I’m talking cheesy grits, biscuits with gravy, corned beef hash, over easy eggs, too much butter and endless coffee. But especially the biscuits and gravy. Biscuits being like English scones and gravy being a white meat gravy, made from the drippings of cooked pork sausage which gets poured over everything. I had such a great spread at Harbor Docks in Destin and started with a similar breakfast to this every day of the trip. These guys are also well known for their sushi, so a place to check out for lunch or dinner too. 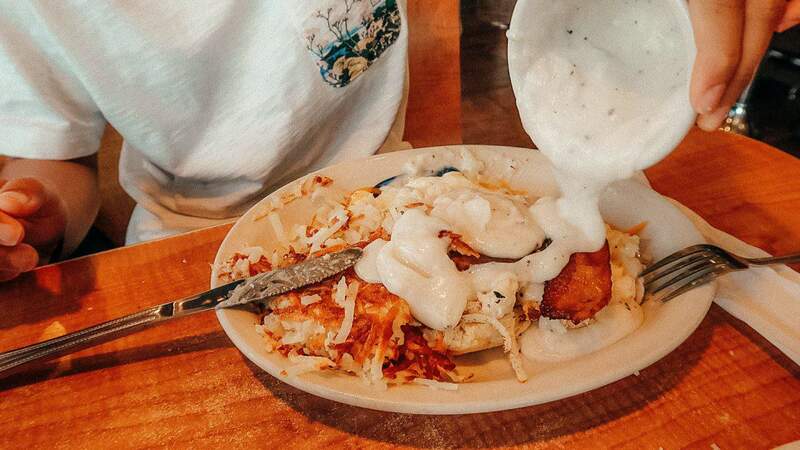 Skip straight to one of the best Destin restaurants for a southern breakfast at Harbor Docks in the video here, I could not get enough of that gravy! 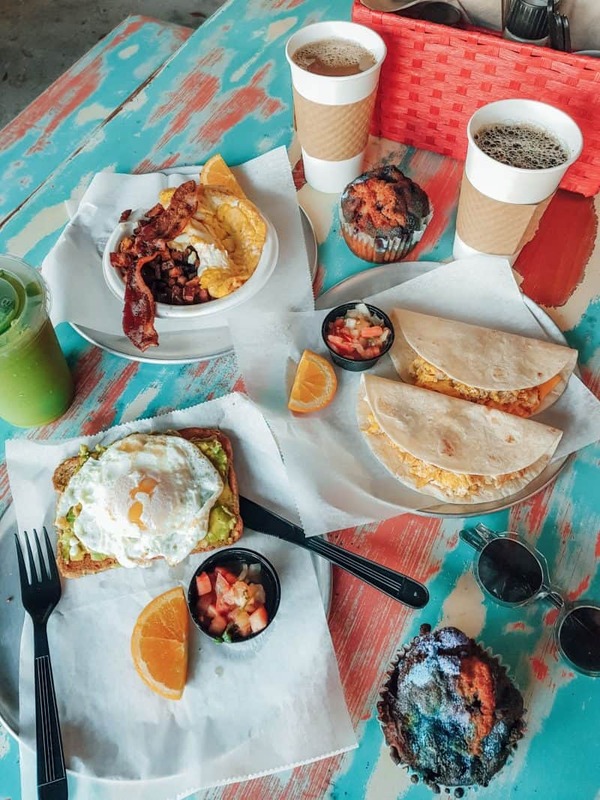 With a closing time of 3pm, The Local Market in Destin (from the same owners as Harbor Docks above) focuses on fresh and delicious breakfasts and lunches. Expect the likes of avocado toast alongside corned beef hash with eggs if you get there before 11am. For lunch, you’ll have a hard time making a decision on which gourmet sandwich to go for, all served with chips and a side. To round it off, don’t miss their homemade ice creams and juice bar, made and bottled in house. Skip straight to our quick morning pit stop at The Local Market in Destin in the video here! 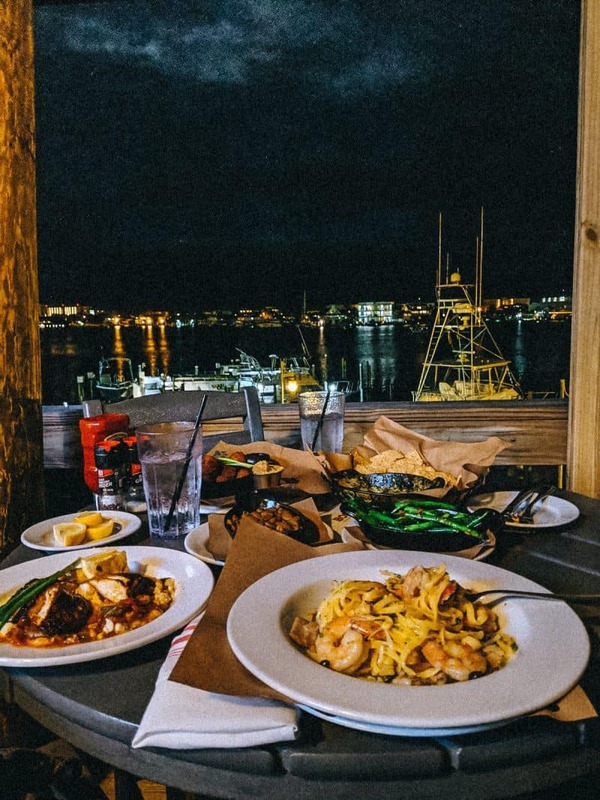 If you’re after an upmarket venue and a little bit of romance, you won’t go wrong with Lousiana Lagniappe in Destin. Choose a spot out on the terrace and time your visit for sunset – you won’t be disappointed. With white table linen and impeccable service, these guys have been serving Gulf seafood with Creole flair for over 30 years. Along with a whole section of the menu devoted to crawfish, expect favourites like lobster rangoons (fried wontons stuffed with lobster and cream cheese) and eggplant Orleans, deep-fried with jumbo lump crabmeat and hollandaise sauce. For mains try the Gulf grouper with lobster and hollandaise. Or their grouper almondine topped with toasted almonds and lemon butter. Oh, and most of it comes with homemade hushpuppies, house salad and a twice-baked potato. Skip straight to the stunning sunset views from the terrace of Louisiana Lagniappe in the video here, perfect for a stroll after dinner. 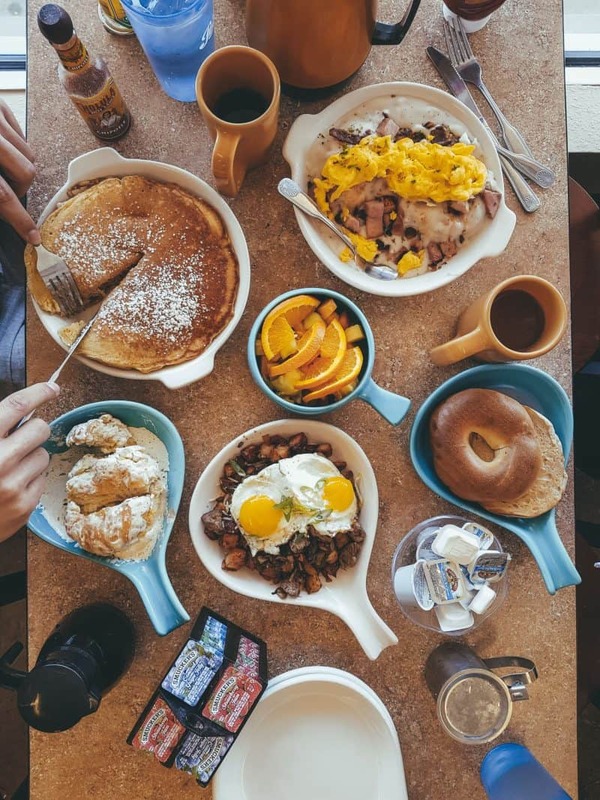 Another great place for all your southern breakfast needs, Donut Hole in Destin also specialises in – you guessed it – donuts. 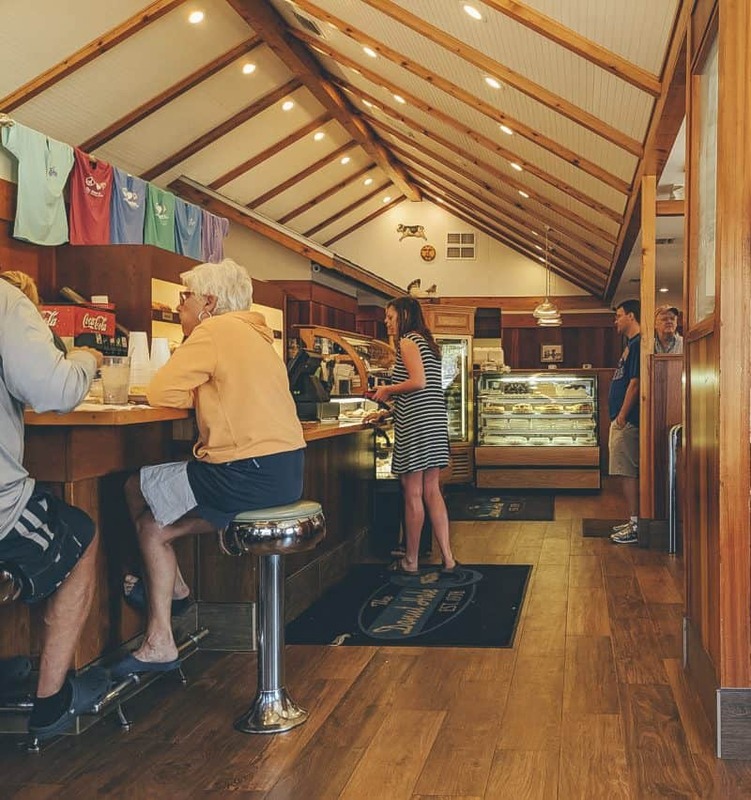 One of the longest standing Destin restaurants and a huge part of the community, Donut Hole has been a local hit since 1978. Try not to forget there’s a full menu on offer when you find yourself slack-jawed by the baked goods. Donuts are made throughout the day in a whole host of flavours, as well as homemade cakes, pastries and breads. And their key lime pie is famed in these parts, although I didn’t get to try it. They even make the buns for their burgers which feature on the evening menu. That’s right, an evening menu! Which many people are surprised to find out they do. A homely and bustling spot that hasn’t changed much since the 70s, don’t miss this place when in Destin. Skip straight to the cinnamon bun as big as my head at Donut Hole in the video here. 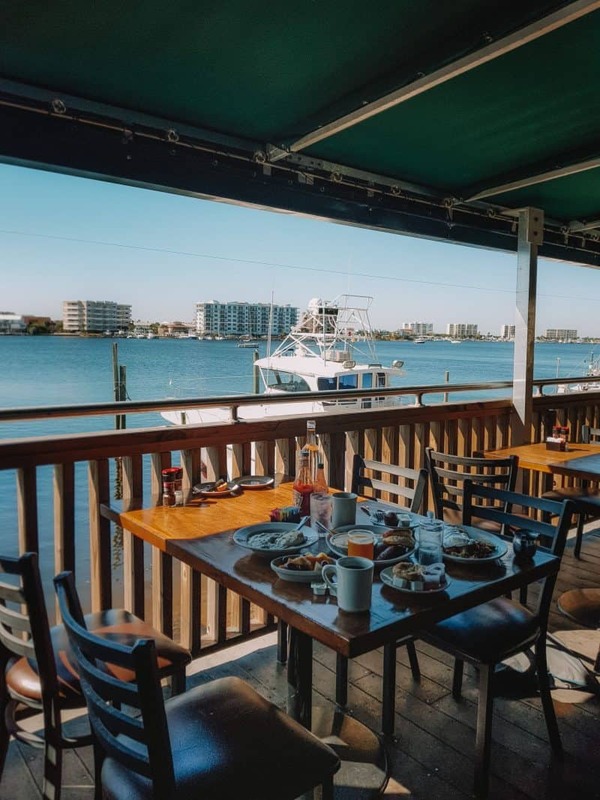 With panoramic views over Destin Harbor, BoShamps is the place to kick back and relax over a great menu. 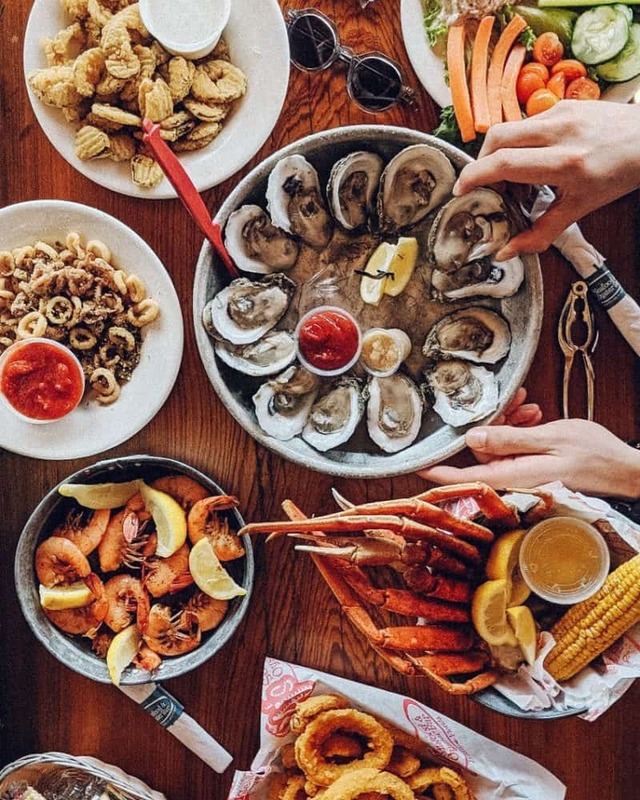 They combine fresh and local catches of the day, Florida Apalachicola Bay oysters any way you like, beautiful sunsets and wonderful southern hospitality. In the kitchen you’ll find Chef Andi Bell, named by the James Beard Foundation as a Rising Star of American Cuisine. And on his menu the likes of local baby spinach and artichoke hearts smothered in melted cheese like a fondue. As well as lobster mac ‘n cheese, Gulf coast duck confit cassoulet and plenty of local seafood. Be sure to glance over the specials of the day too. You might find more temptation like with my pasta dish with shrimp, cured egg yolk and truffle oil. Skip straight to dinner at BoShamps in the video here and how about those hush puppies! 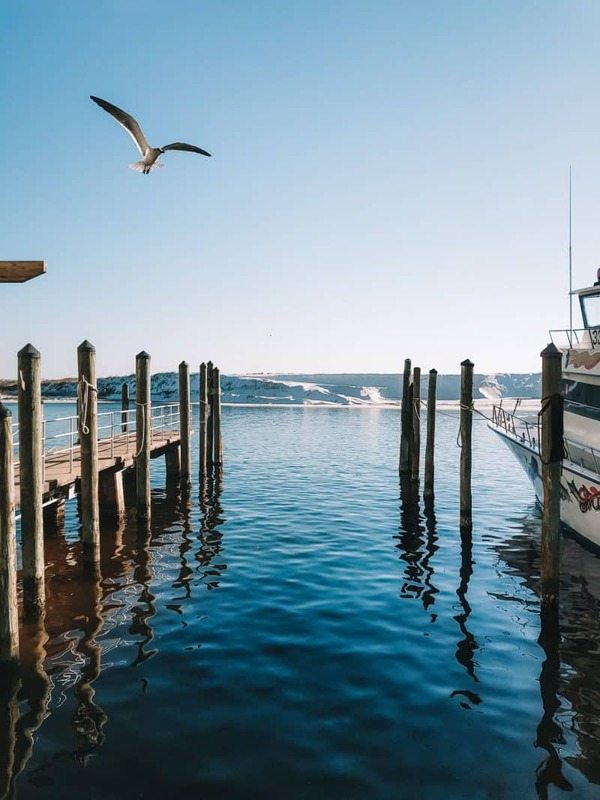 Have you ever visited Florida’s Emerald Coast? If so, what are your favourite Destin restaurants? Have you ever been to Fort Walton Beach and Okaloosa Island on the Emerald Coast? The beaches here are considered the best in Florida and even the best in the USA; are you a fan of beaches? What meal did you like the sound of most from those listed? Would you add any other Destin restaurants that can’t be missed? Let me know in the comments below! This is a sponsored conversation written by me on behalf of VISIT FLORIDA. The opinions and text are all mine. A big thanks to Hertz for the car hire and great service. It turns out driving on the other side of the road isn’t as daunting as I thought it would be! All views remain my own, as always. This is an awesome list! I’ve personally tried four of them with the Donut Hole being one of my guilty pleasures. 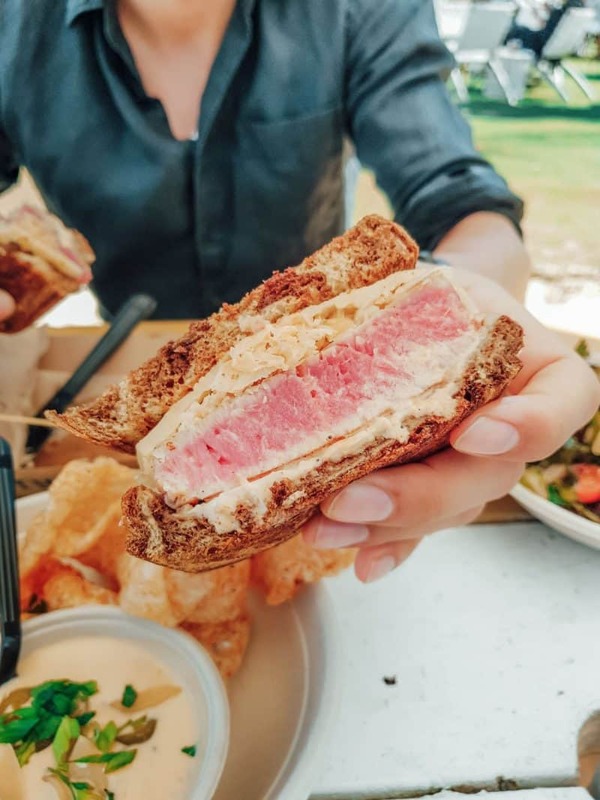 I also find using the hashtag #FoodieFriday to be useful in finding new tips around 30A as several local businesses use it when discussing new restaurants around the Emerald Coast to eat.